The long running creator of the popular assassin sim has brought a new game into the next generation, but will it be any different from the previous installments? 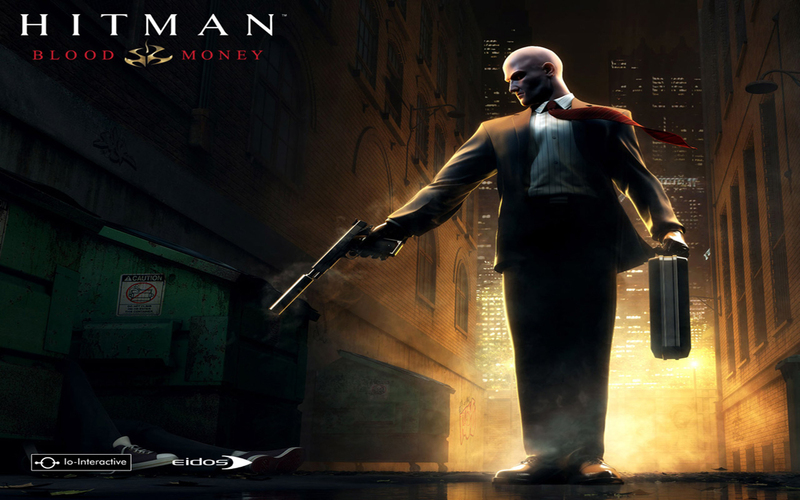 Flowing Blood Through The Agency: The story of the latest Hitman game from Eidos again places you in the blood stained suit of the mysterious assassin, simply named Agent 47. This time around, you will be trying to solve the mystery of why all of the other agents working along side you are being assassinated. As you try to escape the cold grip of death, you will kill alot of people to get to the bottom story. From janitors and TV crews, to vacationing tourists on a resort, the hands of you will murder them all. Hey, You Don't Look Like Mike. BANG: While the story of Hitman sounds to be stronger then previous plotlines, is really isn't in any degree. The draw-in of the Hitman series has always been the ability to interact with almost anything in your environment and carry out your objectives anyway you please, and gladly, these aspects return. You have the ability to dash onto the scene, guns blazing, or you can choose to take the approach of silently taking out your target from the inside. As usual, anyone's clothes can be taken off of their dead carcass and worn by you to infiltrate the inside. The only problem with this aspect of the game is that the security will often instinctively know you are an imposter, and open fire on you before you can even pull out your gun. This forces you to replay the SAME mission several times over, just to get past the very first mission. I Got What You Need Right Here: One of the best new features added to this latest adaptation is the ability to mod your weapons to your personal liking. You can choose to add bigger clips, a silencer, and even extra ammo to bring with you on your killing spree. This adds a shallow, but still slightly enjoyable level of depth that helps you become more immersed in the game. Rent vs. Buy: Overall, Hitman is an enjoyable experience, but is a little too shallow to keep you interested over the long haul. Between the weak story that you hardly pay attention to, and the sub-par graphics that look like high-level PS2 titles, Hitman just isn't a game that you will often play. It's good for a little mindless killing, but you probably won't even finish the game all the way through.